29 July 2015 / Forbes – (Ferenstein Wire) – Bitcoin, the digital currency infamous for wild swings in value and black market transactions, could have profound implications for the future of public services. 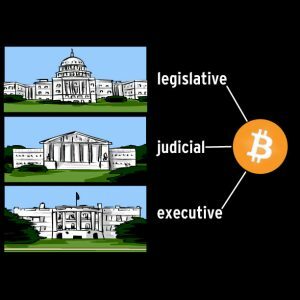 Tech optimists at the highest levels of government are exploring how the same technology that makes bitcoin anonymous could make government services less bureaucratic and more secure from hackers. Brian Forde is a former Senior Advisor at the White House Office of Science and Technology Policy, and recently became MIT Media Labs new director of digital currency. He sat down with the Ferenstein Wire at the Atlantic Aspen Ideas Festival and revealed how bitcoin technology could eventually become a cornerstone of modern governance. Just to give this conversation some contextual significance, over the last few years, Bitcoin has slowly gained mainstream acceptance, expanding from the hobby of libertarian digital activists to the portfolios of billionaire silicon valley investors. But, Bitcoin and it’s associated cryptographic technology has largely been viewed by government as a dangerous technology in need of regulation.